July 9th, marks the 150th anniversary of the ratification of the 14th Amendment’s equality principle of the U.S. Constitution. Does the pursuit of racial equality look different 150 years after the ratification of the 14th Amendment’s equality principle in today’s growing multiracial world? In 2010, 9 million people constituting 2.9 percent of the population selected two or more races on the census. The Census Bureau projects that the self-identified multiracial population will triple by 2060.Yet, in my own exhaustive review of discrimination cases in a variety of contexts like the workplace, educational settings, housing rentals, access to public accommodations, jury service, and the criminal justices system, the cases demonstrate that racially-mixed persons continue to experience discrimination today. While it is certainly true, that we have come a very long way from the 14th Amendment case of Plessy v. Ferguson, where in 1896 the Supreme Court decided that the constitutional equality principle was not violated by state mandated “whites only” railway cars, and that the racially mixed Louisiana resident Homer Plessy thus had no right to ride in the “whites only” car despite being “seven-eighths” white himself. Our nation has also failed to live up to the 14th Amendment promise of Brown v.Board of Education’s 1954 commitment to dismantle racially segregated public schools like those originally litigated in Kansas, and Loving v. Virginia’s 14th Amendment mandate against “measures designed to maintain White Supremacy,” such as Virginia’s then statutory prohibition against interracial marriage. In gathering stories of how mixed-race people experience racial discrimination today, it was disheartening to find that not only is racial discrimination still rampant, but that it affects mixed-race people in a similar fashion to other non-whites. Even the criminal justice system, which has been notorious in its focus on the black body as inherently criminal, similarly targets mixed-race persons for heightened scrutiny in public spaces. Nor does the racial harassment stop when multiracial persons are incarcerated. One recent 14th Amendment racial discrimination case is quite illustrative. When J.R., a multiracial inmate of African descent at the Five Points Correctional Facility in Romulus, New York applied for employment in a section of the prison outside of his cellblock, he was denied without cause. No other inmate was restricted to employment in his cellblock, and when J.R. contested the denial of employment a Correctional Officer stated “you’re not going anywhere unless I say so, and I say no . . .your black right . . . oh you’re a mixed race mutt black.” Thereafter, J.R. was assigned to a lawns and grounds position within his cell block area and denied the opportunity offered to others of being placed on a waiting list for employment outside of his cell block area. When J.R. filed an internal grievance, another Correctional Officer issued a disciplinary report and he was placed into 90 days of solitary confinement. The 14th Amendment mandates the disestablishment of the ideology of racism by prohibiting the government from any act to “deny any person the equal protection of the laws.” J.R.’s experience strongly suggests that racial mixture does not shield one from racial discrimination, nor does it transform the manner in which the systemic exclusion occurs. Unfortunately, J.R.’s experience is not unique, and like the vast majority of multiracial stories of discrimination they involve a continued hostility towards non-whiteness in any form or mixture. 150 years after the 14th Amendment’s ratification, the multiracial discrimination cases highlight the continued need for attention to white supremacy and for fortifying the focus of civil rights law on racial privilege and the lingering legacy of bias against non-whites. Our current climate needs such clarity now more than ever. 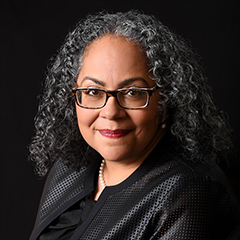 Tanya Katerí Hernández is the Archibald R. Murray Professor of Law and an Associate Director of the Fordham University School of Law Center on Race, Law and Justice. She is the author of “Multiracials and Civil Rights: Mixed-Race Stories of Discrimination.” @ProfessorTKH.